I focus on minimally invasive treatments whenever possible, with the aim of maximizing outcomes and minimizing side effects. 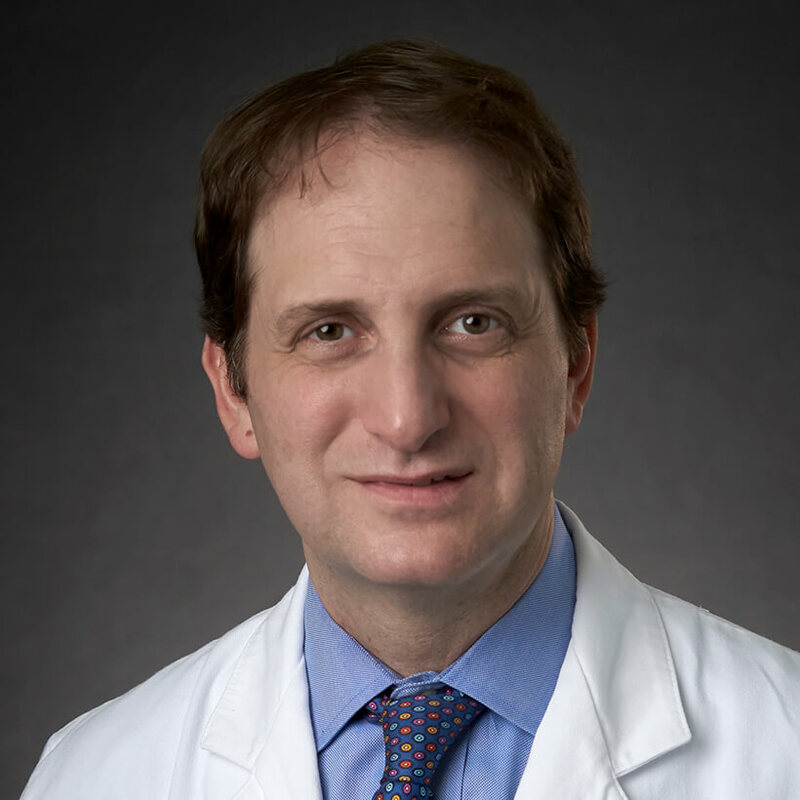 “I enjoy working as part of a multidisciplinary team to identify treatment options for each individual patient,” says Dr. Craig Richman, Otolaryngologist and Head & Neck Surgeon at Cancer Treatment Centers of America® (CTCA) Atlanta. Dr. Richman brings extensive training and experience to his care. His post-secondary education began at the University of Pennsylvania, where he was named a Benjamin Franklin Scholar and earned his Bachelor of Arts in Biological Basis of Behavior. He then attended Emory University School of Medicine, completing his Doctor of Medicine degree in 1994. His postgraduate training began with a year-long internship in General Surgery at the University of Miami/Jackson Memorial Hospital, where he remained and then completed four more years of residency in otolaryngology – head and neck surgery, during which time he spent two months as an International Exchange Resident at the Ear, Nose and Throat Clinic of the University of Freiburg in Germany. Following completion of five years of training in Miami, Dr. Richman moved to Chicago where he completed an additional year of fellowship training in head and neck surgery at Rush University and Cook County Hospital. Dr. Richman began his professional career as a private physician in 2000 in a group practice focused on ear, nose and throat medicine. He continued this work at a larger practice before joining CTCA® in May 2015. A Fellow of the American College of Surgeons, the American Academy of Otolaryngology - Head & Neck Surgery, and the American Academy of Sleep Medicine, Dr. Richman’s expertise in evaluation and management of head and neck cancers is recognized beyond the clinic and operating room. He has presented lectures to medical professionals on sleep medicine, the genetics of head & neck cancer, sinus surgery, and other related areas, and has presented research at national and international conferences. Dr. Richman is a member of the Georgia Society of Otolaryngology and the Metro Atlanta Educational Society for Otolaryngology – Head and Neck Surgery, which he served as an officer for 3 years, including as president from 2006 to 2007. He is board-certified in Otolaryngology by the American Board of Otolaryngology and holds a second board certification in the field of Sleep Medicine. At CTCA, Dr. Richman treats complex cancers of the head & neck region, including the tongue, tonsils, larynx and pharynx. “Working with our medical oncology and radiation oncology colleagues, we tailor an individualized treatment plan for each patient,” he says. Additionally, Dr. Richman has integrated transoral robotic surgery(TORS), utilizing the da Vinci® Surgical System, a minimally invasive treatment that may enable some patients to avoid chemotherapy or radiation, into the clinical armamentarium at CTCA for managing head & neck cancers. Dr. Richman also treats noncancerous ear, nose and throat issues that may arise in patients being treated at CTCA for other malignancies, as he did for 15 years in private practice prior to joining the CTCA team. In recognition of his clinical excellence, he has received the Patients’ Choice Award from the physician-review website Vitals.com for seven consecutive years (2008-2014), as well as Compassionate Doctor Recognition for five consecutive years (2010-2014), and he has also been recognized recently by the same site as a Top 10 Doctor in both the city of Atlanta (2014) and in the state of Georgia (2014). When he is not caring for patients, Dr. Richman enjoys spending time with his wife and two young children, whether traveling or staying closer to home. He enjoys music, biking, following local sports teams, and experiencing life in the great outdoors.